"It was a factual imitation of some Hotel de Ville in Normandy, with a tower on one side spanking new under a thin beard of raw ivy, and a marble swimming pool and more than forty acres of lawn and garden. It was Gatsby's mansion." These familiar words from F. Scott Fitzgerald's The Great Gatsby are coming to life on the big screen this Friday. 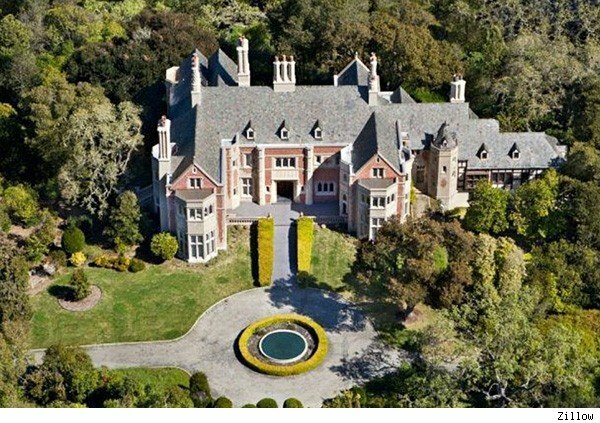 While the highly anticipated movie was filmed on the coast of Australia, Fitzgerald's inspiration for Jay Gatsby's home has long been debated. Where would the mysterious Gatsby host his lavish Jazz Age parties today? We've rounded up a few top contenders currently on the market.